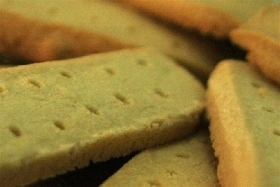 Have you made Christmas Shortbread? 2. Cream butter, sugar, and vanilla until light and fluffy. 3. Mix flour and salt, then beat into butter mixture until thoroughly blended, to make a soft dough. 4. To make bars: on work surface dusted with flour, pat dough into rectangle 1/2" thick, 2" wide, and about 17" long. 5. 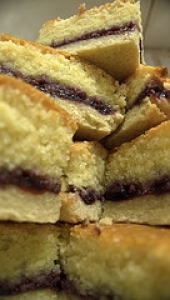 Use knife or fluted pastry cutter to cut into 1" bars. 6. Use spatula to transfer bars to ungreased cookie sheet, leaving 1" between bars. 7. Prick each bar with fork several times. 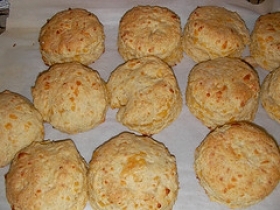 Bake for 20-25 minutes, until lightly colored. 8. 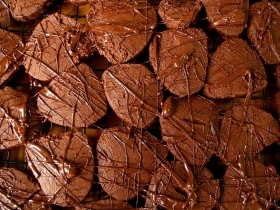 Do not overbake; the bars should not brown. Let cool on cookie sheet for one minute, then carefully transfer to wire racks to finish cooling. 9. To make wedges: Dust your hands and ungreased cookie sheet with flour. 10. Pat dough into ball. Pat ball into flat disk about 1/2" thick and 7" in diameter on cookie sheet. 11. With edge of plastic ruler dusted with flour, mark disk in 8 wedges, cutting about halfway through dough, and prick dough all over and crimp edges with fork. 12. 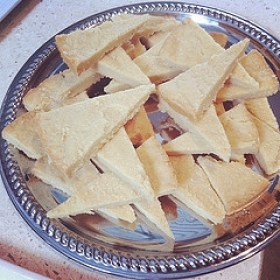 Bake for 30 minutes, then take cookie sheet out and cut through shortbread on marked lines. 13. Return shortbread to oven for five more minutes. 14. Let wedges cool on cookie sheet for one minute, then carefully transfer to wire racks to finish cooling. 15. 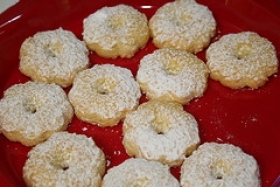 Nut Shortbread: add 1/4 c finely chopped toasted pecans, almonds, walnuts, or hazelnuts to flour mixture. 16. 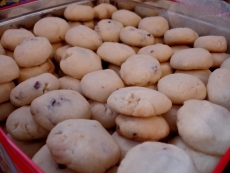 Chocolate Chip Shortbread: add 1/4 c miniature semisweet chocolate chips to flour mixture. 17. Orange-Chocolate Chip Shortbread: add 1 t grated orange rind and 1/4 c miniature semisweet chocolate chips to flour mixture. 18. 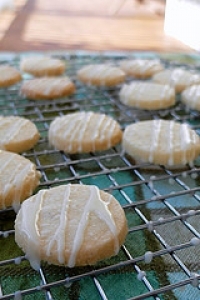 Lemon Shortbread: add 1 t grated lemon rind to flour mixture.